HarperCollins refused to send advance copies of Sarah Palin's Going Rogue to the press, but the AP got its hands on one. They found nothing about Levi, but plenty of bile for Katie Couric, Charlie Gibson, and the McCain campaign. 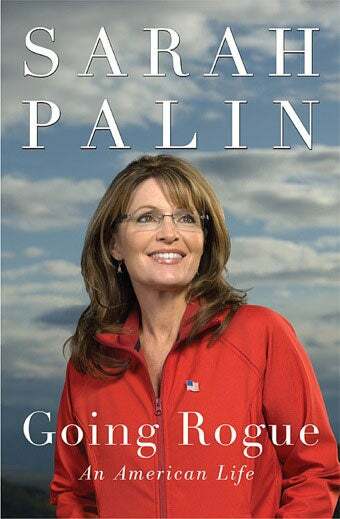 According to the AP, Palin never mentions her daughter's Playgirl-posing baby-daddy in her 413 page book. Instead, she focuses on her favorite target: the "liberal" media. In what sounds like an especially nasty section, Palin says she initially "felt sorry" for Katie Couric because a McCain aide told her that Couric was suffering from low self-esteem. But instead of thanking Palin for her pity, Couric "badgered" her, focusing on "gotcha" moments over more "substantive" issues. Palin also claims that Couric was the ignorant one, whose lack of knowledge about energy politics left Palin wondering what newspapers she read. Palin also has some choice words for Charlie Gibson — he "peered skeptically" at her like a principal during their interview, yet also refused to talk about "substantive issues." But the real villains of Going Rogue may be McCain's operatives. Palin said they stuck her with a $50,000 bill for her vetting process after the campaign was over, an interesting claim given that many at the time wondered if she had been vetted at all. The McCain campaign's lawyer denies that Palin was ever billed. Palin also complains that even though she rewrote the statement prepared for her about her daughter's pregnancy, TV anchors read the McCain camp's version anyway, which she felt "glamorized and endorsed her daughter's situation." It's tempting to wonder what kind of condemnation Palin had in mind for her daughter's pregnancy, but Bristol may be lucky that the McCain campaign, and not her mother, controlled her public shaming. In general, the leaked info makes Going Rogue sound like vintage Palin — she's still trying live in her own version of reality, and she's mad when anyone challenges it. At a Nov. 6 Wisconsin appearance, closed to both press and cameras, she apparently claimed that Obama had made the decision to move the phrase "in God we trust" from the front of the new dollar coin to the edge. But this bit of heinous God-marginalizing was actually enacted by Republicans in Congress. And on the healthcare bill, she told her Facebook friends, "Look closely at the provisions mandating bureaucratic panels that will be calling the shots regarding who will receive government health care. Look closely at provisions addressing illegal aliens' health care coverage too" — sinister yet meaningless recommendations. The population of Palin-world may be dwindling — Time's Mark Halperin says "the smart money [is] betting that Palin won't be a contender for 2012" — but Palin remains this strange land's defiant queen. In her Oprah appearance, slated to air Nov. 16, she claims the McCain camp totally approved of her performance in the Couric interview: "The campaign said, right on. Good. You're showing your independence." In a statement that pretty much sums up how Sarah Palin views the world, a former senior campaign official says, "No sentient person would look at that and say that."